Help Me be a Good Father again, and I’ll Give You a New Right as a Homeowner. Hi Everyone, I’m Thom Hayes. Ever hear of someone getting a great business idea, pursuing it so hard, their family suffers, and they lose touch with friends. That's me times a Thousand. 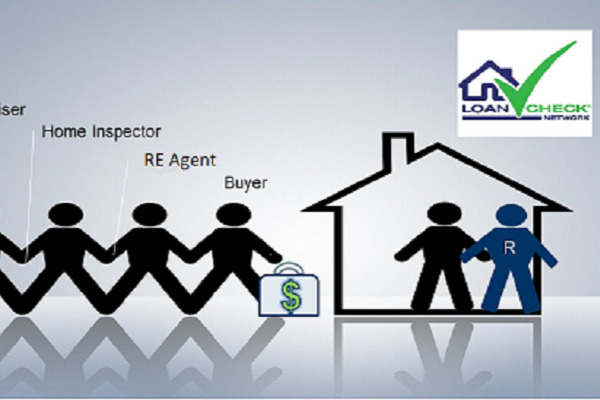 Twelve years ago, I was a very successful Mortgage Loan Officer (MLO) uniquely helping families navigate the home buying process because I also applied my knowledge and experience as a real estate broker from two decades earlier. Yes, I’m old, 58. My business collapsed like many others back then. Looking to pivot, I visualized a new type of value to bring to housing. My perspective as an MLO & Realtor revealed where homeowners had a significant disadvantage in basic knowledge, in the one area crucial to successful home sales - The Money or specifically the Mortgage. And it struck me as Fundamentally UNFAIR! By working with experts in realty, finance, and law we designed the plans for a platform to answer the question: Can I (home seller or buyer) be confident the mortgage financing will come through? How Close are We to Offering LoanChecks? Very! I've done my homework, found the talent to build, LoanCheck has a well-defined algorithm that asks the right questions of the right people at the right times to produce a comprehensive report weekly from the time an Offer-To-Purchase is accepted -up until 5 days before closing. But there is a Chicken or the Egg thing going on. Easy concept to understand, right? Not for venture capital or angel investors. Ten years, I've tried to raise $250,000 to build out a Minimal Viable web Platform (MVP). However, to raise capital for a website (the Chicken), you must first have a fully functioning website to show “Traction.” Remember I’m an MLO & former Realtor, not a Coder. Without a working website, you don’t get read or given interviews. The rare interview you get ends with: “ Sounds good, raise a little capital from friends, family or someone else, get it running, then we’ll invest.” The Prove-the-Concept (Show the Golden Egg) mindset cripples the once progressive world of venture capital. The “Progressive Venture Capitalist” or both. Register your Email on LoanCheck.net or Make any donation here, then share this goal, so others join. I am setting reasonable goals. I think a possible 2,500+ combination of Realtors, MLOs, future Buyers or current Homeowners will donate $10+ towards building this “Option” for home sellers and buyers in the future. 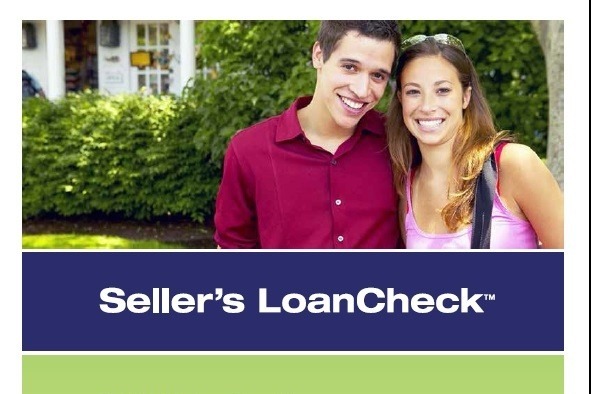 will pay for professional writers, graphics contractors, and web developers to Perfect-the-Message of LoanCheck. Project Up this value proposition to the point Venture Capital can't turn away. Ultimate Goal: the Big Seed Capital $750K + to hire the great people needed for beta testing with local Realtors. Speaking to Proof of Concept. I shared the concept of LoanCheck with the National Association of Realtors and Colorado’s Association Chairman. Surveys of active agents, No surprise, show majority of agents surveyed want to offer the LoanCheck option to their listing homeowners. Is it Possible GoFundMe can Raise All the Seed Capital? Crazy thought: Avoid Venture Capital! Build this business on Higher Ideals, the B-Corporation model. A certified Benefit-Corporation balances the needs of consumers, society as well as stockholders. Some examples are Ben & Jerry’s or Patagonia- they Give Back. Money from housing should go back into housing. No better non-profit than Habitat For Humanity. I pledge now I will donate 10% of net profits to HFH if we avoid VC money and their large cut. Help me be a Good Father again, my kids (13 & 16) don't know a time I haven't worked a low pay job, been applying for better-paying work, stressing about overwhelming bills, and staying up late nights networking to Venture Capital firms trying to raise funds needed to properly build LoanCheck for you and your neighbors. Ask him to invest $250,000 out of his total investment fund of about 5,000,000 (1/20th) of what they will invest in 2019. Now is the time to invest in fundemental market fairness.